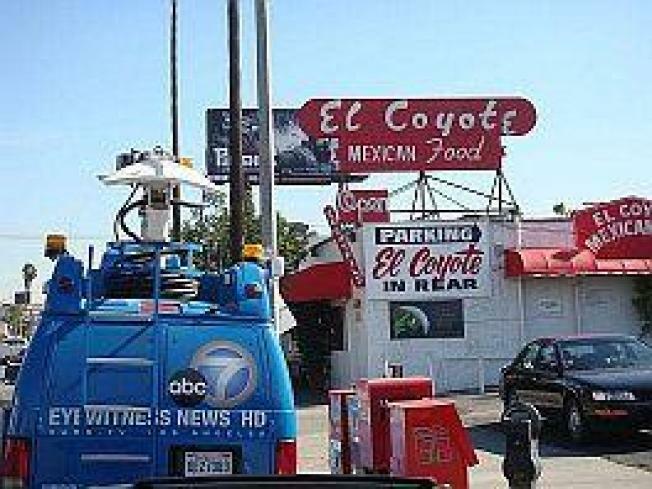 El Coyote Cont. : Press Conference Video, Protests, PR! Queerty has some phone-cam video from inside yesterday's press conference at El Coyote where, flanked by her daughters, Marjorie Christoffersen tries to explain her $100 donation to the Yes on Prop 8 campaing in a room full of opponents. Teary apologies aside, someone from the restaurant tries to clean up the mess by asking how El Coyote can make this go away---make donations to certain gay organizations, for instance---and then announces that he voted against the proposition, so see, please don't boycott us. No one in the room buys it, which is why they're going on with a protest outside of the restaurant tonight (Beverly Boulevard commuters, beware). Additionally, we hear El Coyote is finally reaching out to PR for extra damage control.